Kalifornium (pengucapan: /ˌkælɪˈforniəm/) adalah unsur kimia dalam sistem periodik unsur yang memiliki lambang Cf dan nomor atom 98. ^ a b c d CRC 2006, hlm. 4.56. ^ CRC 2006, hlm. 1.14. ^ Joseph Jacob Katz; Glenn Theodore Seaborg; Lester R. Morss (1986). The Chemistry of the actinide elements. Chapman and Hall. hlm. 1038. ISBN 9780412273704. Diakses tanggal 11 July 2011. ^ Greenwood 1997, hlm. 1265. ^ Emsley 1998, hlm. 50. ^ CRC 1991, hlm. 254. ^ CRC 2006, hlm. 11.196. ^ NNDC contributors (2008). Sonzogni, Alejandro A. (Database Manager), ed. "Chart of Nuclides". National Nuclear Data Center, Brookhaven National Laboratory. Diakses tanggal 2010-03-01. CRC contributors (1991). Walker, Perrin; Tarn, William H., ed. Handbook of Metal Etchants. CRC Press. ISBN 978-0-8493-3623-2. CRC contributors (2006). Lide, David R., ed. Handbook of Chemistry and Physics (edisi ke-87th). CRC Press, Taylor & Francis Group. ISBN 978-0-8493-0487-3. Cunningham, B. B. (1968). "Californium". Dalam Hampel, Clifford A. The Encyclopedia of the Chemical Elements. Reinhold Book Corporation. LCCN 68-29938. Emsley, John (1998). The Elements. Oxford University Press. ISBN 978-0-19-855818-7. Emsley, John (2001). "Californium". Nature's Building Blocks: An A-Z Guide to the Elements. Oxford University Press. ISBN 978-0-19-850340-8. Haire, Richard G. (2006). "Californium". Dalam Morss, Lester R.; Edelstein, Norman M.; Fuger, Jean. The Chemistry of the Actinide and Transactinide Elements (edisi ke-3rd). Springer Science+Business Media. ISBN 978-1-4020-3555-5. Heiserman, David L. (1992). "Element 98: Californium". Exploring Chemical Elements and their Compounds. TAB Books. ISBN 978-0-8306-3018-9. Jakubke, Hans-Dieter; Jeschkeit, Hans, ed. (1994). Concise Encyclopedia Chemistry. trans. rev. Eagleson, Mary. Walter de Gruyter. ISBN 978-3-11-011451-5. Krebs, Robert (2006). The History and Use of our Earth's Chemical Elements: A Reference Guide. Greenwood Publishing Group. ISBN 978-0-313-33438-2. National Research Council (U.S.). Committee on Radiation Source Use and Replacement (2008). Radiation Source Use and Replacement: Abbreviated Version. National Academies Press. ISBN 978-0-309-11014-3. O'Neil, Marydale J.; Heckelman, Patricia E.; Roman, Cherie B., ed. (2006). The Merck Index: An Encyclopedia of Chemicals, Drugs, and Biologicals (edisi ke-14th). Merck Research Laboratories, Merck & Co. ISBN 978-0-911910-00-1. Osborne-Lee, I. W.; Alexander, C. W. (1995). 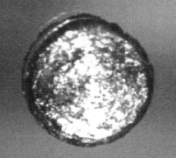 "Californium-252: A Remarkable Versatile Radioisotope". Oak Ridge Technical Report ORNL/TM-12706. doi:10.2172/205871. Ruiz-Lapuente, P.; Canal, R.; Isern, J. (1996). Thermonuclear Supernovae. Springer Science+Business Media. ISBN 978-0-7923-4359-2. Seaborg, Glenn T.; Loveland, Walter D. (1990). The Elements Beyond Uranium. John Wiley & Sons, Inc. ISBN 978-0-471-89062-1. Seaborg, G. T. (1994). Modern alchemy: selected papers of Glenn T. Seaborg. World Scientific. ISBN 978-981-02-1440-1. Seaborg, G. T. (1996). Adloff, J. P., ed. One Hundred Years after the Discovery of Radioactivity. Oldenbourg Wissenschaftsverlag. ISBN 978-3-486-64252-0. Seaborg, Glenn T. (2004). "Californium". Dalam Geller, Elizabeth. Concise Encyclopedia of Chemistry. McGraw-Hill. hlm. 94. ISBN 978-0-07-143953-4. Szwacki, Nevill Gonzalez; Szwacka, Teresa (2010). Basic Elements of Crystallography. Pan Stanford. ISBN 978-981-4241-59-5. Wikimedia Commons memiliki media mengenai Californium.